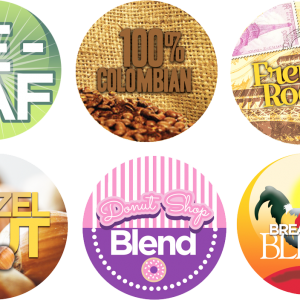 NOTE: CUSTOM PRINTED LIDS ARE SURFACE PRINTED AND ARE AVAILABLE IN QUANTITIES AS LOW AS 10 M PER ITEM. CONTACT A REPRESENTATIVE FOR MORE INFORMATION ON PRICING AND PRODUCT DETAILS. GET CREATIVE WITH SURFACE PRINTED CUSTOM POD LIDS! 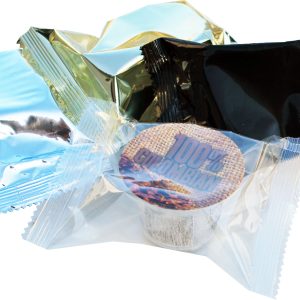 CUSTOM PRODUCT PACKAGING FROM NORTH ATLANTIC SPECIALTY BAG IS ONE OF THE BEST WAYS TO ENSURE A LOVELY PRESENTATION OF YOUR COFFEE, TEA, OR HOT CHOCOLATE EVERY TIME. 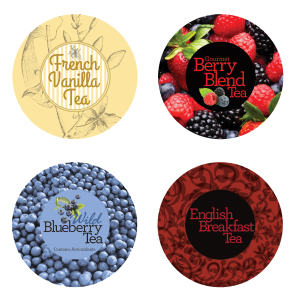 PAIR THESE REMARKABLE LIDS WITH ANY OF OUR RECYCLABLE FILTER CUPS FOR A MEMORABLE AND ENVIRONMENTALLY FRIENDLY RESULT.